Martin has burst into the conversation this year with major performances in the 1600m & 3200m. The 3200m had been her main event heading into the season, and her previous PR was 11:34 from her freshman season. Here in her senior year she's already shattered that PR with MO #3 11:09 at the Northwest Invitational last weekend. In addition to the the 3200m, she has started to compete more in the 1600m as well. Her old PR in that even also was from her freshman year with a 5:43, however she currently holds the MO #3 time of 5:15 in that event, and has ran sub 5:18 three times. It would appear that Martin is going to be hunting for a state medal in May. The McCluer North sophomore has a had a dynamite start to his first track season. He currently holds a season best of 10.77 which is the fastest time in the state currently. In addition to his 100m performances, he also holds the MO #5 200m time with a 22.12. He's ran 8 races so far this season in the 100m (4), 200m (3), and 400m (1) and has only lost once in a second place 200m finish at Lindenwood back in March. He is in prime position to carry on the legacy of great McCluer North sprinters at the state meet later on in the season. 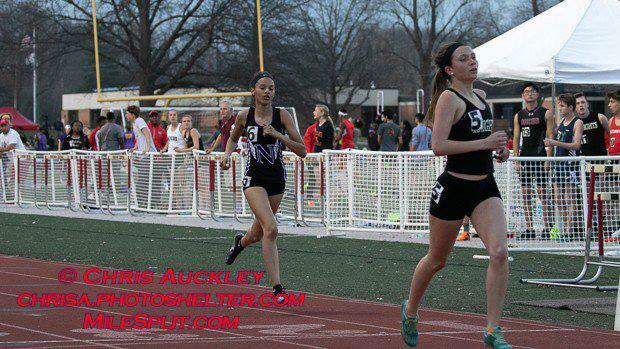 Reina McMillan of Parkway North is off to a great start to her junior season thus far. She has been a great 800m runner with a previous PR of 2:24, but has never been able to advance to the state meet. However, this year looks like it'll be the year she finally breaks through. She currently holds a MO #1 time of 2:19 in the event, and looks primed to keep improving upon that. In addition to her 800m, she also has the MO #7 400m time with a 59.47 which is the first time she had ever ran faster than 61. Be sure to keep an eye on the Viking as we move later into the season. Jefferson City freshman Kiara Stayhorn has surely opened some eyes around the state. She holds the MO #2 time in the 100m hurdles right now with a 14.42, which also sits 61st in the nation. In addition to that she also has the MO #3 long jump with an 18-6, and has a MO #3 in high jump as well with an 5-4. I have a feeling we are going to be talking about Kiara a lot over the next 4 years. 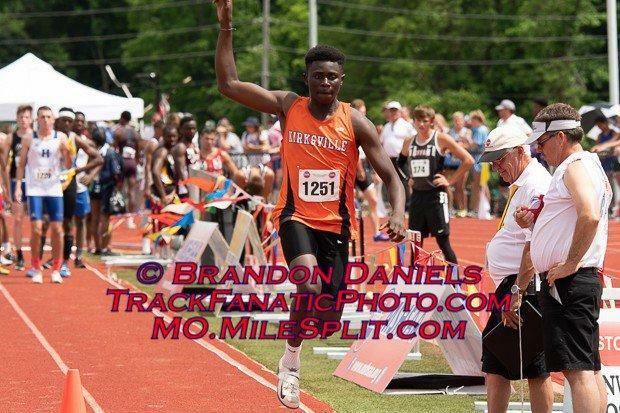 The Kirksville junior has started off his season in spectacular fashion here in 2019. A state medalist a year ago in the triple jump with a PR of 44-3, he has already blown that out of the water this year. Last week at the Kearney Invitational he popped off a 48-0.25 jump. That's a MO #2 and US #19 jump, and is already his second jump over 46 this year. It'll be interesting just to see how far he goes this season.